In each newsletter, we like to get to know the people behind the hotel names. 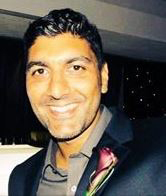 In the latest edition, which you can read here http://www.guestline.com/about-us/guestline-connect-newsletter.html we got to know Parminder Purewal, General Manager for The Erskine Bridge Hotel and The Normandy Hotel Glasgow. Describe your job in a nutshell – My job fundamentally is to lead our teams and develop our products to excellence and further growth. I do this in the main by assessing areas of asset potential and driving efficiencies through all departments in order to offer great value for our clients. What’s sets your hotel apart from the rest? – As a large independent hotel we believe we can offer a quicker & more personalised solution for our guests at room rates which don`t have to reflect substantial brand franchise fees. What’s your favourite thing to do in [your local area]? – I love walking around Mugdock reservoir and going to the gym, the motions keep my emotions in top form. What are the first 3 things you do when you come to work? – On my way to work I always listen to some meditation music, I believe in making clear decisions before even starting the day, secondly, I jot down a to do list for the day which will be segmented for urgent and important tasks, this helps me frame present daily duties and allocate time to future tasks, thereafter it’s a cup of tea to get stuck into meeting and reports. If you weren’t working in the hospitality industry, what would be your dream profession?- Sales Manager for Guestline- I think David Hunter has got a great job. What’s been your career highlight so far? - Since 2010, we have been fortunate enough to grow and develop the hotels year on year after a 13 year period of steady decline reflected by mismanagement of the previous hierarchal structure. Being able to reward our staff and having a crystalised vision is extremely rewarding. The future of hotels in order to implement asap, a possible reconfiguration of our functioning departments , again to build on a model which truly offers a 24hr generating income in conjunction with a peaceful nights` sleep. What’s your guilty pleasure? - Krispy Kreme & Costa Coffee. If you could describe yourself as a cocktail which one would you be and why? – I`m definitely a Vodka Martini, shaken not stirred- as soon as I mentioned the drink an image of James Bond came into your head! !Like attracts like!! For myself- my understanding is money is a tool for buying experiences and there in no other experience of spending money on what you have dreamed of with what you have earned through hard work and graft. Please leave comments for me to improve the ringtone better. Wish you have the best ringtone on your mobile phone. thank you!